Extraordinary home on almost ONE ACRE CUL-DE-SAC LOT! 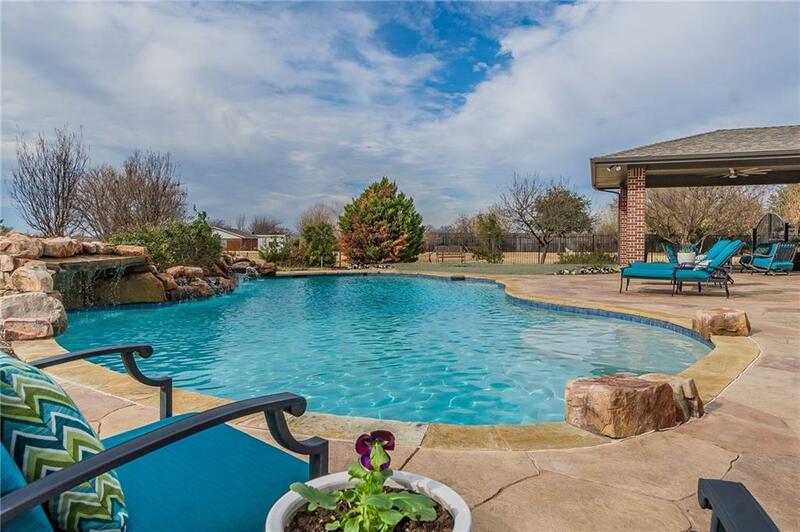 HUGE DREAM BACKYARD with sparkling POOL with waterfalls, SPORTS COURT, two covered patios, & tons of room to play. Stunning interior features NEW HAND-SCRAPED HARDWOOD FLOORING & carpet, staircase with iron balusters, decorative moldings, neutral colors, study with French doors, formal living or dining room. Brand-new kitchen has QUARTZ COUNTERS, SS appliances, large island, gas cooktop, white cabinetry. Open two-story family room with floor-to-ceiling stone fireplace & wall of windows overlooking pool. Luxurious master suite has jetted tub & frameless glass shower. Upstairs media and game room with built-in desks. 3 car garage with extended driveway.